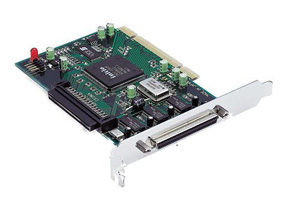 Supports Ultra2 Wide SCSI LVD, Transfer rate up to 80MB/sec. 32bit DataBus and 33MHz operation. Bootable ROM for Windows PC. Suitable for high-speed data backup. * Regarding the driver for Windows Me/98/95 and Dos, contact our Tech support team. Termination type Internal active termination provided. * If you need driver for Windows Me, 98, 95 and DOS, contact our Tech support team.